​What do I do next? 1) On March 13th check your inbox for an email. You will be assigned a basketball team (college name) and a milkweed species. Milkweed Madness began in March of 2016 as a fun way to randomly distribute seeds to a few lucky winners. Not much has changed, except this year is going to have more seeds, more winners and hopefully help more monarch butterflies! As a fan of the popular March Madness I was looking for a way to help the monarch and highlight the butterflies host plant while also having a good time watching college basketball. Monarch butterflies are about to begin their spring migration. 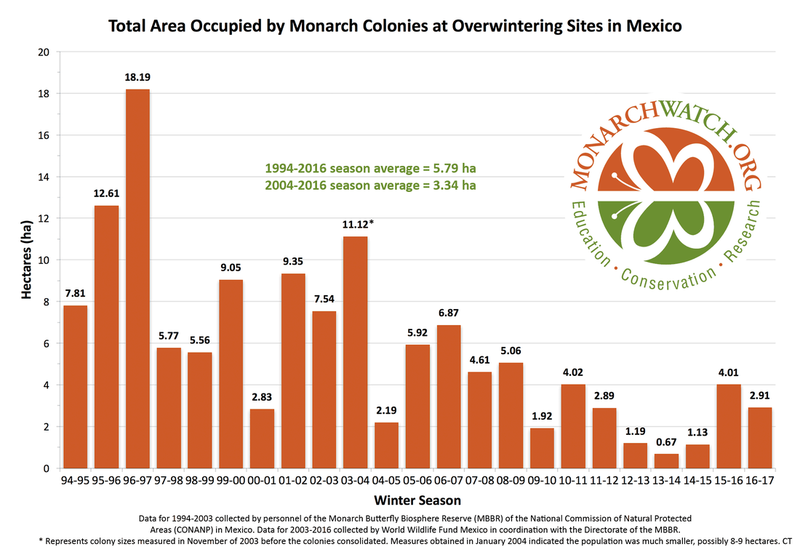 The process begins in March as the monarchs disperse from their overwintering locations in central Mexico and Southern California. Many dedicated scientists, researchers and volunteers have recently completed the exhaustive task of counting the monarch butterflies. ​The data from Mexico is represented by the area which the monarch clusters are occupying. Data from the western population is represented by the estimated number of butterflies on the bar graph and the total number of sites visited represented on the line graph. Based on his research Dr. Chip Taylor has said that for the eastern monarch population to be sustainable it requires that the monarch butterflies have a roost size that covers 6 hectares of the oyamel fir tree forest in Mexico. The colony size this year was 2.91 hectares. Less then half of the minimum desired population. The western monarch butterfly population is up slightly from last year. 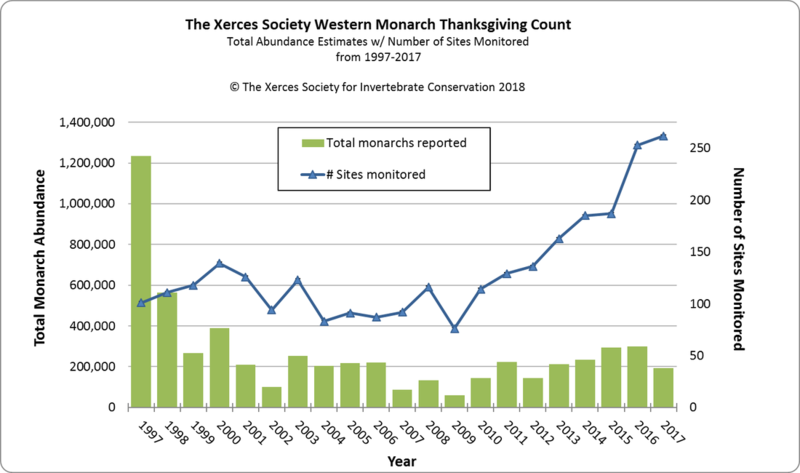 More sites than ever before were monitored during the thanksgiving count. In Mexico thirteen (13) colonies were located. Out west, monarchs were counted at two hundred and fifty three (253) locations. Seeds are available today. Order now and expect prompt delivery at no extra cost.